Asperger’s Fundraiser; New Month, New Railway! The Asperger’s Flyer goes from strength to strength this year with tons of announcements to be released very soon. 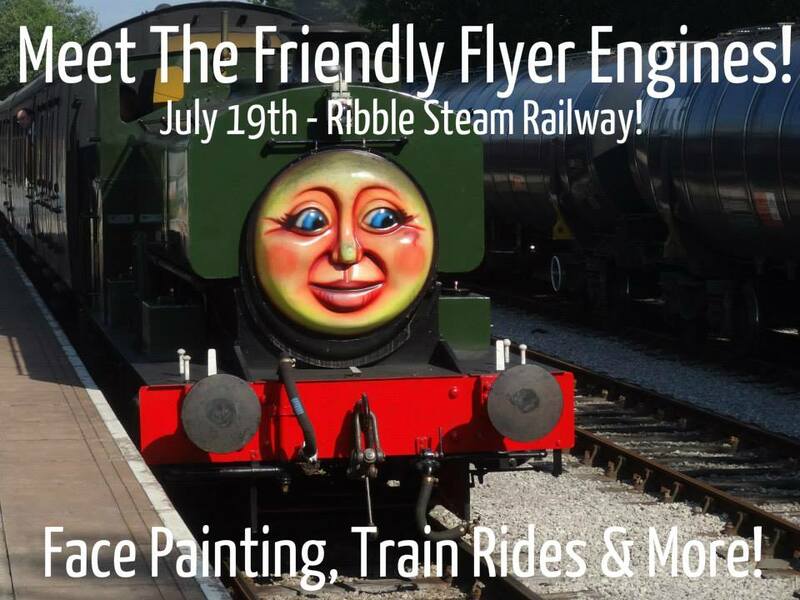 For starters, a new partner railway can be unveiled, the Ribble Steam Railway, with an event on July 19th, with events for everyone, from heritage steam locomotive rides and face paintings! Who hasn’t wanted to look like Gordon from Thomas the Tank Engine! The Ribble Steam Railway is a unique heritage line, with the fantastic Swing Bridge over the river Ribble, which will be an attraction all of its own. Along with the chance to ride with the Friendly Flyer Engines, it is certain to be a great day out! There is more news to be shared in later updates over the next few weeks, before the Summer Events, which are lining up to be full steam ahead! There is also a fantastic collaboration to be fully revealed very soon, to put the Flyer on the small screen on YouTube! As always, I will keep all Loco Yard Readers posted on the upcoming news and events. 02/07/2014 in 1306mayflower, Asperger's flyer. Aspergers Flyer Educational Society October 2014 Update; What a Way to End The Year! Asperger’s Fundraiser, The D-Day Flyer – Our Mainline Debut!